What is it with these quarters that millions of people seem to go “gaga” about? Primarily, doing it is easy as quarters can be found almost anywhere and the collectible coins do not cost much more than face value. So how should one collect (or start collecting) start collecting the very much in-demand quarters? 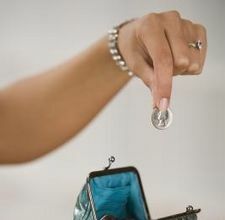 If the collector is concerned with his or her budget, many quarters may be obtained as change from purchases. This is a very convenient and less lifestyle-invasive method of procuring quarters. If the collector is serious, bags of these coins can be purchased from coin dealers. Do not forget to choose those quarters that were not circulated! For those just starting a coin collecting hobby, coins they collect are usually placed inside a large glass jar or bowl. This is perfectly fine. Serious collectors prefer coin storage devices especially made for coins that are available in coin shops and from coin dealers. Children are the perfect people to start a hobby such as coin collecting, quarters most specifically. 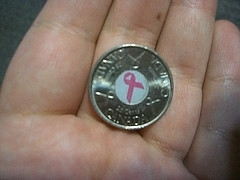 Nothing beats the excitement of a new quarter in one’s pocket. Quarters are a unique, as well as a very inexpensive, way to get children interested in history. When they find a new coin, they can research it to find out the details of the state from which the coin came, etc. It is an effective way to have fun while learning. The sequence of how the coins are minted, believe it or not, is based on the order of the states. Basic US history tells us that Delaware was the first state; therefore, this was the first quarter minted. For the sequence of the other states, check the schedule from 1999 to the 2008 of the US Mint. Collecting quarters is a valuable hobby that has many benefits. It trains one to be patient, resourceful and appreciative of history and the value of the big and little things in life.